What is good running form, and how can you improve running technique? We are firm believers in the importance of good mechanics- the way your body moves when you run makes a huge impact on your performance and injury susceptibility. We met runner Laura for a technique analysis session this week . She is on a quest to improve her speed so took a detailed look at her running form to see if we could find any areas to improve to unlock hidden improvements. Laura has been running since 2009, quickly catching the running bug. She has run 3 marathons, and numerous triathlons and is currently training for Bournemouth in the Autumn, aiming for 3hrs 45min and a good for age slot at London. Laura is comfortable training to marathon distance but she knows her speed needs work. We wanted to observe and video Laura’s current technique at a few different speeds – roughly equating to her marathon, 10km and 5km pace – and different angles. We highlighted 4 common form issues to help Laura improve running efficiency. The need to shorten ground contact and reduce impact at footstrike. Over the course of training you will strike the ground millions of times. This 'interaction with the ground' is incredibly important, and any discussion of technique should start here. 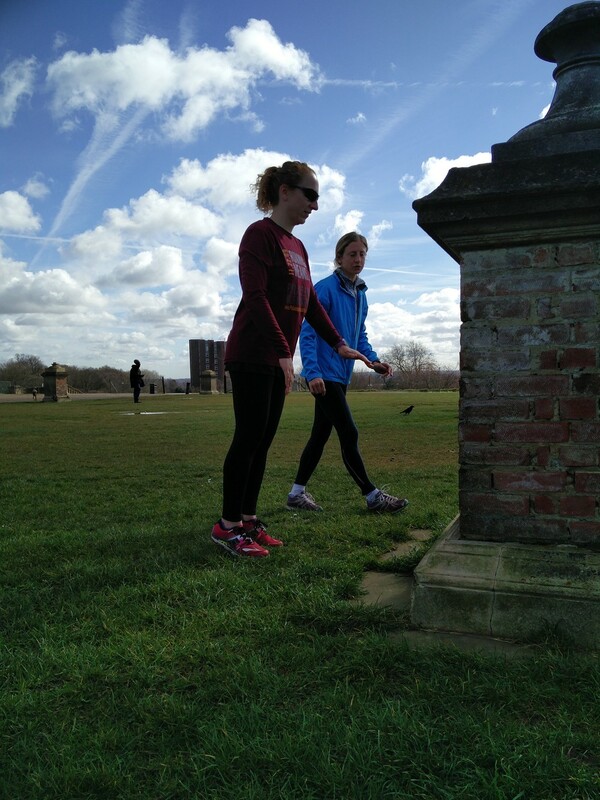 We noticed an issue here, as Laura was overstriding slightly - taking too long steps which resulted in her making initial contact with the ground out in front of the body on her heel. This was particularly noticeable at faster speeds when she started to actively take longer strides to speed up. Over striding is efficient- it greatly increases impact forces and checks forward momentum. There are several tell tale signs you’re doing this, such as sore quads after long runs, audible, and greater wear on the heel of your shoe. We urged Laura to employ a more compact stride- and increase turnover or cadence as she starts to speed up. However we urged her not to actively avoid the heel strike by running on her toes. It's a recipe for disaster- just focus on how you land in relation to your body- trying to land underneath the body. To Prevent Excessive Cross- Over and Control Rotation at the Hips. 'Interaction with ground'- the way you land, absorb impact forces, and push off the ground - is also affected by the way your legs move laterally. A large number of runners run with a 'cross-over gait'- with their legs landing under and across their bodies (a bit like walking on a tightrope). This causes you to land on the outside of the foot and roll inwards before being in a position to push off. This is fairly natural- but excessive movement is inefficient and can cause injury problems. This prevents and efficient return from the ground, landing heavily on the with muscles unable to load effectively. Imagine a spring- landing on its edge will cause it to lose power and spring off at a weird angle. This type of landing puts extra stress on the knee and ankle- leading to a host of injuries including 'Runners Knee'. Its not an easy habit to eliminate- and could be linked to weakness or discrepancies in strength in glutes and hips. However, you can attempt to minimise any unnecessary rotation- particularly around the hips. When running imagine a pair of headlights on your hips. Hold them flush - keeping the imaginary beams facing forward. Posture is also pretty key to the whole process. A tall straight posture with a slight forward lean should help you minimise overstriding and allow your hips, glutes and back to operate more freely. 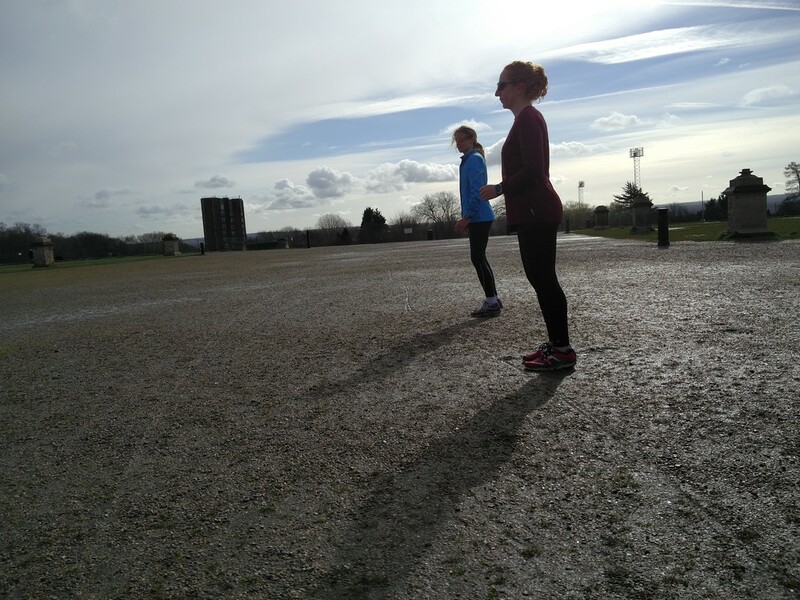 When running, lift hips -holding them 'high', and imagine a straight line that runs from your ears, through shoulders, hips and ankles with a slight lean from the toes. Work hard to maintain this position- especially when you start to tire. Use Your Power Muscles - Think About Stride shape. This is a more complicated area and one you might need more guidance with. Your glutes are the largest, most powerful running muscles at your disposal, but they are often under-used. If you watch elite runners their gazelle like movement patterns rely on a 'turbine-shaped' stride pattern- with a high heel and knee lift, and short fast contact with the ground. Their glutes are really important- 'pulling' the foot quickly off the ground, and helping to bringing the foot back underneath their bodies and powering the body forward at ground contact. It might look more labour intensive- but that powerful high heel and knee lift is mechanically very efficient! How can you put this into practise? Think 'Pull'! 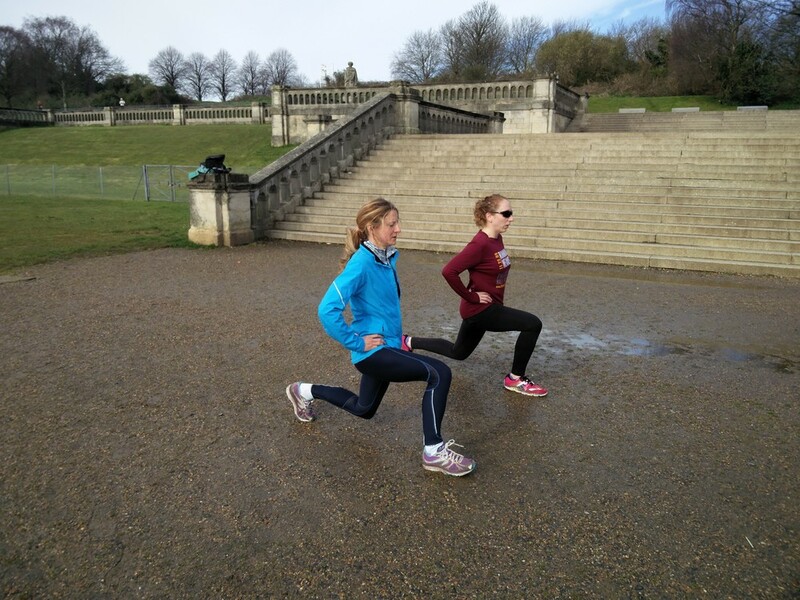 On a series of shorter paced intervals or strides (80-100m runs) practise quickly pulling your foot forward after it leaves the ground- giving you a high heel and knee lift. Quickly get the foot down (you don't want to prance like a horse! ), and keep the turnover of strides, and contact with the ground sharp.